We are chosen by business owners looking for a future proof solution. 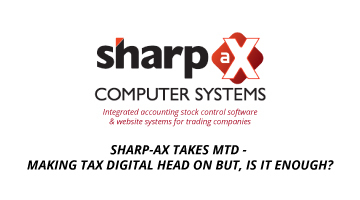 Once implemented, the Sharp-aX ERP software will continue to grow and adapt to your changing conditions. The core of the software covers all your day to day necessities GAAP conformant accounting, a fully functional Customer Relationship Management module, an enterprise class stock and warehouse management function, real-time on-demand business intelligence and the option of a fully integrated, functional website running 24/7. 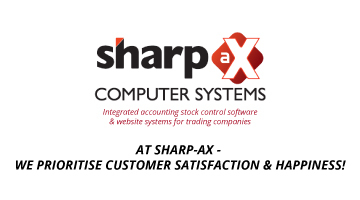 Placing Sharp-aX ERP software at the heart of your business lets you and your staff make informed decisions, chase prospects & quotations, share knowledge between departments, ensure quality customer service and keep your business growing and moving forward. Powerful features like Pivot Reports, Dashboards, Automation through workflows, KPI’s and facilities to email, raise tasks and send SMS messages put you firmly in control. We have 25 years’ of experience in supporting the wholesale and distribution sectors so we believe we understand your specific needs and will work with you to ensure best solutions and value from your system. We’re confident that once you have implemented Sharp-aX ERP software that it will be the last solution your business will ever need. Using a powerful cutting edge framework, we work with you to tailor your system to meet your exact business needs, whilst maintaining an off-the-shelf approach to upgrades. The bulk of the customisation is built directly into the data but if you have more complex needs, we have a large team of developers who are happy to work with you to build the solution your business needs. 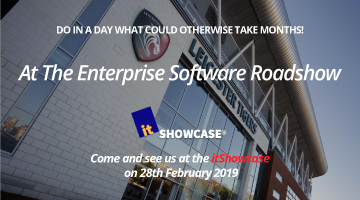 What’s more Sharp-aX ERP software integrates easily with other software solutions – We have worked successfully with many companies including Sales-I, EVO Payments Ltd, Verifone, SagePay, Accellos WMS and many more. Our integrated website provides key benefits for the modern wholesaler and distributor. The first being to take orders 24/7 whilst extending your reach to customers beyond your immediate geographical area. The second benefit is to reduce the amount of time spent administering your customer accounts from providing options to make payments, reprint invoices, track order progress and query shipments all through their customer portal.